It's all-ages action in the mighty Marvel manner! 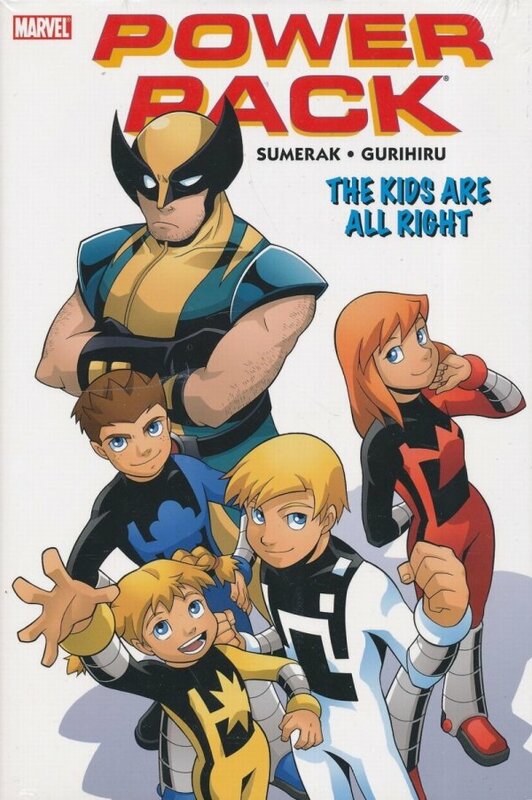 Marvel's youngest team of super heroes returns for more awesome action, family fun and Snark-stomping adventures - and this time they've brought some very special friends! Hot on the heels of four fun-filled, all-ages solo adventures, everyone's favorite super-powered siblings team up with Marvel's merry mutants, the X-Men! Featuring Wolverine, Beast, Nightcrawler and Cyclops! 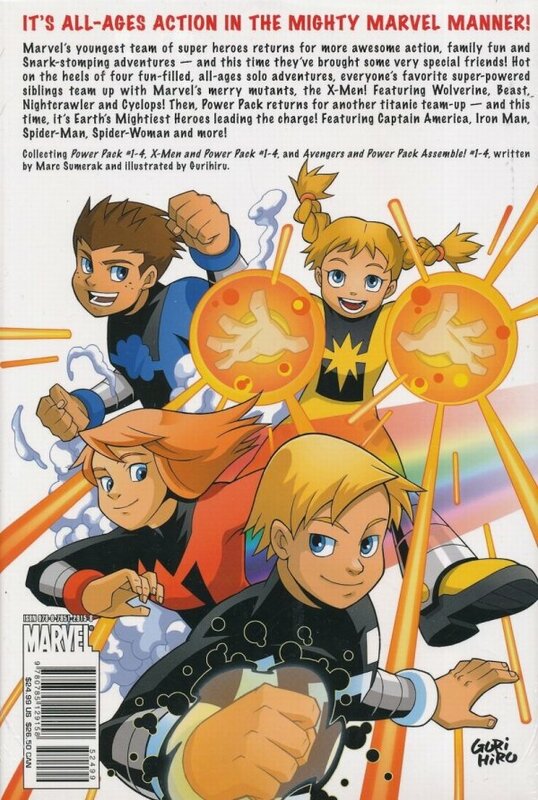 Then, Power Pack returns for another titanic team-up - and this time, it's Earth's Mightiest Heroes leading the charge! Featuring Captain America, Iron Man, Spider-Man, Spider-Woman and more!